Ball pythons are quite notorious for refusing to eat. 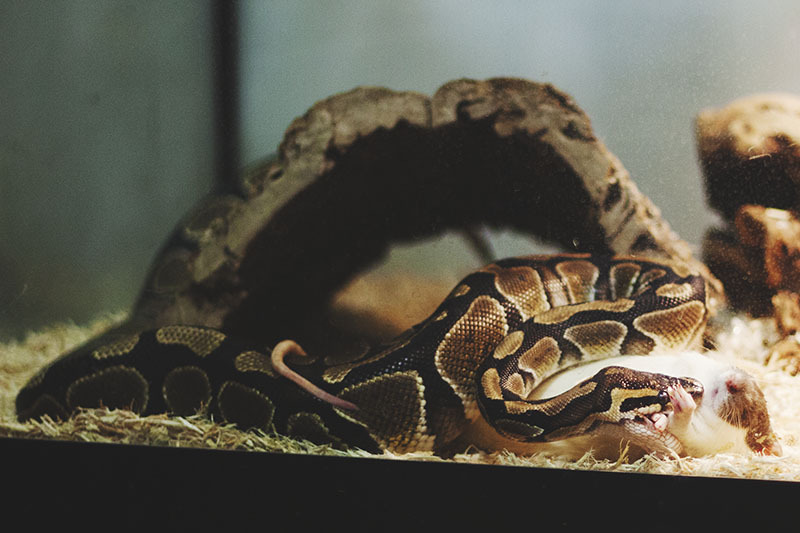 In fact, feeding problems are by far the most common amongst ball python owners. More often than not, there is absolutely no problem with the care a ball python owner is giving to their pet. Rather, the ball python simply doesn’t feel like eating at the moment. Yet of course, this is far from comforting, and in no way stops an owner from feeling concern over their pet’s lack of appetite. Adult ball pythons have been reported to go without food for over a year, so if your adult ball python has not eaten in a couple of months, but still looks healthy and isn’t overly thin, try not to worry too much, as he or she will likely not starve any time soon. 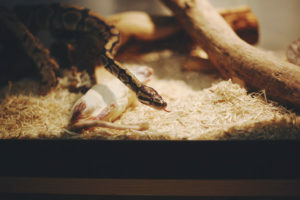 Young baby ball pythons, however, should not go many months without eating, because they do not have the body fat of an adult ball python to spare. That being said, it is only in very, very rare cases that ball pythons have ever starved themselves to death, so while it isn’t ideal that a ball python is not eating regularly, this is very unlikely to be fatal to your pet. 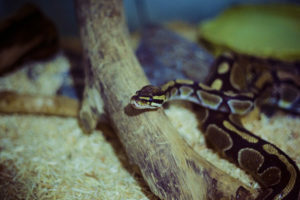 I’ve written this troubleshooting guide to help ball python owners figure out if there is something within their power they can try to help their ball python feel more comfortable eating. It may be easiest to print the list of questions below and check off each one to make sure there isn’t anything you haven’t forgotten to try. Please note that I will continue to update this page with any other possible explanations for ball pythons going off their feedings that I can find, so check back every now and again if your ball python still has still not begun to eat. 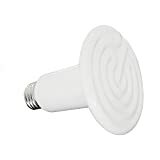 Also do let me know if you have found another explanation for a ball python refusing to eat, or if any of these solutions helped you fix your ball python’s eating problem. That’s all for now. Good luck! Is your ball python eating the right sized prey (width of the prey should be just slightly larger than the widest part of your ball python)? Yes: This is not the problem. Keep trying. No: Get a larger or smaller prey for your ball python and try again. (For frozen/thawed feeders:) Is your ball python defrosted and warmed thoroughly enough? Yes: If you’re absolutely sure it is, this is not the problem. Keep trying. No: After placing your ball python’s prey in a plastic bag, then running the bag under warm water and leaving it to thaw for one hour, upon taking out the prey, try warming it with a hair dryer for a few minutes before feeding it to your ball python. If this is the problem, the blow dryer trick should resolve the eating issue. 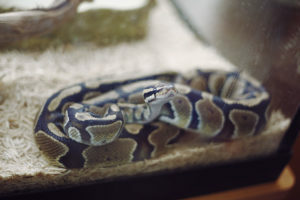 Is it possible that your ball python is going to shed soon? Yes: Ball pythons don’t normally eat before they go into shed. Wait until your ball python has finished shedding, then offer him/her food again. No: This doesn’t explain why your ball python won’t eat. Keep trying. 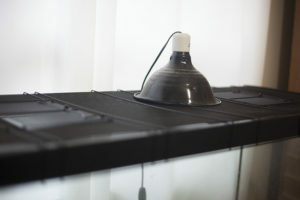 Is the temperature inside your ball python’s enclosure between 80-85°F/26-29°C? Yes: The temperature in your ball python’s enclosure is fine. Keep trying. No: If the temperature is too low or too high, this may explain why your ball python is not eating. Fix the temperature, wait a few days, then try again. (If you’ve confirmed your ball python is not shedding soon:) Is the humidity inside your ball python’s enclosure maintained between 50-60% (no lower than 50%)? Yes: The humidity inside your ball python’s enclosure is maintained where it should be. This doesn’t explain why your ball python isn’t eating. Keep trying. 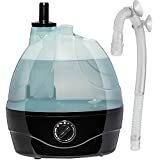 No: Increase or decrease the humidity until it is just right, then wait a few days and try to feed your ball python again. Has your ball python traveled recently? Yes: Your ball python may still be stressed out from the trip. Give it 7-10 days, then try feeding it again. No: This is not the explanation for your ball python refusing to eat. Keep trying. Have you been handling your ball python a lot recently? Yes: Your ball python may be stressed from having been held too much. Give it 3-4 days without handling, then try to feed it again. No: This doesn’t provide an explanation for your ball python not eating. Keep trying. Does your ball python have a dark hide which it sleeps in comfortably (not too tight and not too roomy)? No: If your ball python isn’t satisfied with his or her hide and isn’t sleeping in it regularly, this is likely stressing him or her out. If the hide isn’t the right size, it’s time to get a new hide, and then after a good nights sleep in the new hide, try feeding your ball python again. 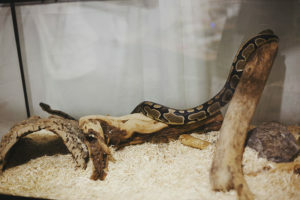 Does your ball python appear to have parasites? Yes: Ball pythons with parasites often loose their appetites. 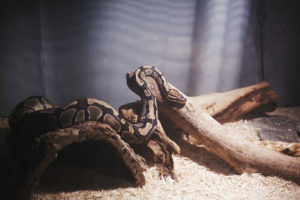 Get rid of the parasites as quickly as possible, then try feeding your ball python again. No: This does not explain why your ball python hasn’t eaten recently. Keep trying. Does your ball python wheeze or have mucous in its mouth? 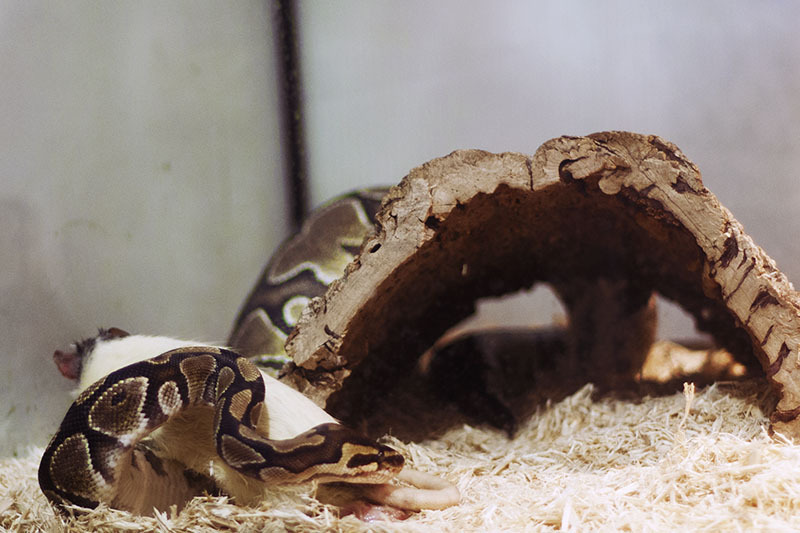 Yes: Your ball python may have a respiratory infection that is affecting his or her appetite. Take your ball python to the vet (they are the only ones who can cure a respiratory infection) and try feeding again as the vet suggests. No: Congratulations on your ball python not having respiratory infection, but unfortunately, this does not explain your ball python’s hunger strike. Keep trying. 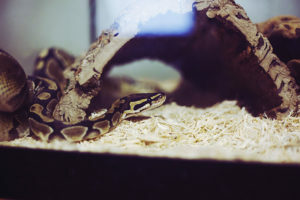 If your ball python is an adult, is it breeding season (usually starts around November and can last until May; breeding season often occurs during the colder months)? Yes: Your ball python may be in heat, and so may have lost its appetite due to a desire to breed. No need to breed your pet if you don’t want to, it will likely start eating again once breeding season has passed. No: This does not explain why your ball python is not eating. Keep trying. I have a BP too, named Charlie. I love your site. Let’s also not forget that ball pythons often go off their food during the winter months. Here in the UK many ball pythons go off their food for months at a time during the coldest, darkest part of the year. However they manage fine and start to feed again as soon as the days start to get longer. 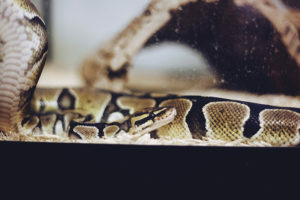 The point here is that if any UK ball (royal) python owners find this article and are still struggling with what the problem is, it may simply be the normal seasonal pattern. 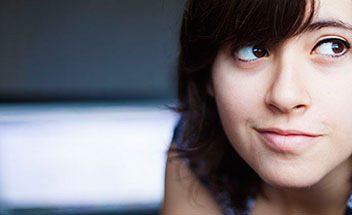 Generally speaking unless your pet is losing condition there is little to worry about. I have a few other suggestions, that I have used on fussy eating snakes in the past. I went through everything with a newly bought ball python who hadn’t eaten in the few months since I got him. He just wouldn’t eat nomatter what I tried, and then I tried a different kind of prey. Instead of a mouse, I gave him a rat, and he had such an awesome feeding response that it made me jump. If its a new snake, maybe he doesn’t like the food youre offering, so try another kind of prey that is the right size. I also have had some success from braining the prey item. Defrost it, warm it up, and then get something sharp to poke a hole in its head so its brain is exposed. Snakes are like zombies, brain makes it smell more appealing. It is kinda gross to do, but it works. 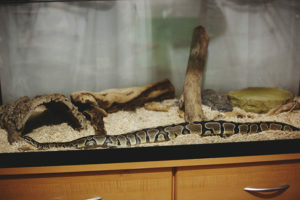 Rocky, my Ball Python has always eaten once a week, until six weeks ago. Has shown no interest since then. Having read your advice, I feel a lot happier about things , but still hope that he starts feeding again soon, to put my mind at rest. He;s just like he always is, but just not eating. Good site, thanks. I’ve had my ball python for about 10 years. He is VERY picky about when he eats. He has gone as long as 16 months without eating. Even though he doesn’t eat regularly he’s never looked sickly or skinny. The reluctance to eat seems normal with this species of snake. 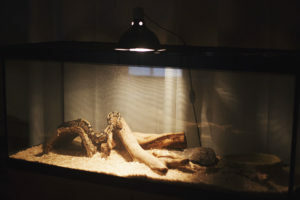 In my opinion, the most important thing to do while your snake is in this stage is to make sure there is plenty of water in the cage. The snake may not be hungry, he\she still needs water. Make sure to keep an eye on their water bowl. Thanks for the advice, Kbomb! Definitely agree there.